FIKA is a social institution in Sweden. This is how I made a large Ad Agency part of this culture. To the uninitiated, such reverence and hysteria over a cream bun might seem at odds with all things normal. But the annual semla hysteria is just a part of a bigger picture – a social phenomenon that is uniquely Swedish: fika. 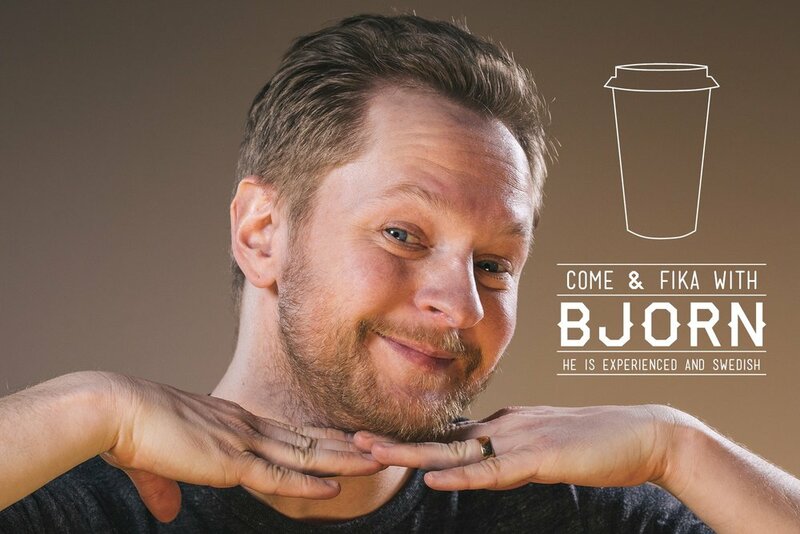 During my time at 360i I created my own FIKA for the entire company of 500. In order to get everyone's attention I made videos and sent out all agency emails, all in an effort to create a stronger work culture and enjoy a cup of coffee. If you work at 360i, you may have noticed a recent invasion of Swedes. This is because Swedes know what’s up. We dominate in literature (Stieg Larsson), music (ABBA) and advertising (Adam Kerj). We're so amazing that the sun can't even bring itself to set on us for three months out of the year and we’re so liberal we make California look like a FOX News breakroom. Here’s another awesome thing about Sweden: fikas. A fika is a break – a designated time to be social, enjoy a beverage of the caffeinated, alcoholic or even kid-friendly variety and kick back with your friends and colleagues. The holidays are a time for gift-giving - and it's no secret that we Swedes love to give, whether it's giving up half our salary to taxes or giving everyone in the country five weeks of paid vacation a year. So this is our gift to you (and, let's be honest, to ourselves): Fika Fridays. Prepare yourselves. Fika is a Swedish tradition. It's a short respite in the middle of a hectic day. A time to gather with friends for coffee and enjoy good…nay…GREAT conversation. Not the turning of the seasons nor hundred of unanswered emails nor it being sneakily co-opted into corporate marketing for Volvo by the guy who put that other guy in the wood chipper in Fargo will prevent us from enjoying it. Either way, starting this summer, start a tradition of your own: Fika with Friends. If you want a larger context, the Fika movement is important because it combats the current work culture in the United States where people work 60-hour weeks with faces glued to screens, not talking to anyone throughout and barely ever taking any vacation. You need Fika. 360i needs Fika. America needs Fika. I say in order to truly make the Fika experience happen here at 360i, it's important to understand Fika's Swedish origins, but also understand the current Fika landscape in the United States. They go together like…well, like beer and food. How many 4am slices of dollar pizza have you bought? Have you ever woken up in the morning clutching a plastic bucket of cat-shaped gingerbread cookies from Trader Joe’s? Does your bodega cashier not even recognize you when you’re sober? Does he think your diet consists of nothing but mesquite barbecue potato chips? Probably. Do you even know what the inside of a Taco Bell looks like in the daylight? Because beer and food is a grand – no, the grandest – tradition. One that will continue this Friday, at noon, in the fifth floor café. Join us, and let’s all raise a glass – and a chocolate ball – to the weekend. Now with Swedish drunk munchies. We are proud to finally announce a secret collaboration that has been under wraps for nearly 3 years. In an effort to advance their global mission of making great ideas accessible and sparking conversation, TED has joined forces with Swedish, mid-day break fika. The resulting TED Talk is a thought-provoking peek into the nebulous depths of the creative mind. It is seven minutes of vivid storytelling that captures the essence of curiosity and raises important questions that shake our fundamental beliefs about life to the very core. Filmed at an exclusive TED event, this rapturous tale of oneboy's man's search for meaning takes the audience on a journey of discovery that spans the farthest reaches of both time and space. And, in the end, helps us realizes that sometimes the search for truth leads us to where we least expect…us. Please, watch, listen, and discuss. The seasons are changing. And so is fika. With super sweet Summer Fridays going on now you and/or your buds are welcome to head out if there's no work to be done. But if you need to hang around the office while everyone is helping each other put sunscreen on you might as well take a break to enjoy what rays do make it into the office. So stop by fika at 3pm on Fridays to hang out or stop by fika on your way out. Either way grab an icy cold coffee drink to fuel your (Summer) Friday fun.